A majority of the world's housing markets are seeing slowing momentum, and Canada could soon be among them. Housing markets around the world are showing signs of losing steam, but Canada's market isn't among them — yet. The Great White North is still clocking in some of the world's fastest house price growth, though that is likely to come to an end in the first half of this year, amid tough new mortgage rules and higher interest rates. According to data released this week by the Global Property Guide, a site for residential real estate investors, Canada saw the world's fourth-fastest property price growth in the third quarter of 2017, behind only Iceland, Hong Kong and Macau. But prices in a majority of housing markets surveyed by GPG have either turned negative or slowed down. The U.K., Beijing, Singapore and Mexico are among the places now seeing falling house prices. "Globally housing markets are slowing sharply," GPG said in a release Tuesday. Of 47 housing markets surveyed, 21 recorded lower house prices in the third quarter of 2017 than a year earlier. That's a notable change from the previous quarter, when only 15 countries were showing year-on-year declines. Two-thirds of all housing markets surveyed showed slowing momentum — either lower prices or slower price growth than earlier. Once-hot New Zealand is now barely eking out any price growth at all. Meanwhile, "Canada ... is in the middle of a house price boom," the report noted. That's despite the introduction of foreign-buyers' taxes for the Toronto and Vancouver housing markets, as well as other measures in Ontario's Fair Housing Plan designed to cool house price growth. Recent data suggests that while the detached-home markets in those cities have slowed down, condos are still seeing strong price growth. 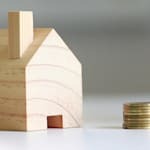 For instance, the Real Estate Board of Greater Vancouver (REBGV) reported on Wednesday that benchmark condo prices in the metro area soared nearly 26 per cent in the past year, while detached home prices grew a slower 7.9 per cent. Canada's housing markets are moving into 2018 facing a perfect storm of conditions that could put a damper on activity and add the country to the list of places where residential property is slowing down. A new "stress test" for borrowers of traditional mortgages comes into effect this month, and it's expected to reduce homebuyers' purchasing power by about 21 per cent. The Bank of Canada estimates that the new rule will disqualify about one in 10 prospective homebuyers. At the same time, the experts predict the Bank of Canada will continue raising interest rates this year, though there is little agreement as to how quickly that will happen. A report from credit rating agency DBRS last fall warned Canadian mortgage borrowers risk "payment shock" in the coming years. After years of slowly declining mortgage rates, Canadians can now expect to see mortgage rates start rising in the long term, DBRS said, putting pressure on household finances. With adverse conditions ahead, the Canadian Real Estate Association (CREA) has downgraded its forecast for Canada's housing market for 2018. It now predicts nationwide home sales will fall by 5.3 per cent in 2018. "The overwhelming majority of the forecast decline in sales next year reflects an expected decline in Ontario sales, with activity anticipated to remain well below the record levels logged in early 2017," CREA said last month. It sees house prices staying flat in British Columbia in 2018, while falling 2.2 per cent, on average, in Ontario. 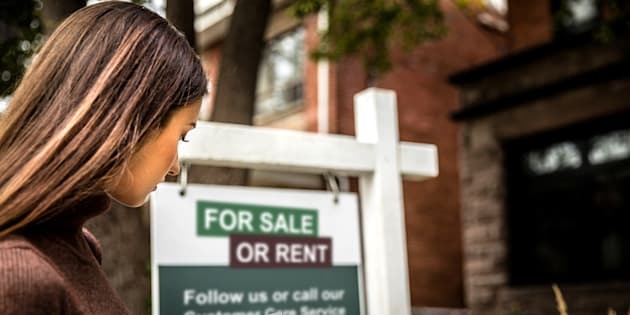 The association estimates that the slowdown in the housing market will take a $1.1-billion bite out of Canada's economy, and will translate into 12,000 fewer jobs. But CREA doesn't see disaster on the horizon. The group predicts a rebound in Canada's housing market in the second half of the year, once prospective buyers have adjusted to the new mortgage rules and higher interest rates.